In this supervisory role you will be required to assist in the management of Civil and Fibre partners on the Virgin media network to ensure the effective delivery of the upgrade, maintenance, installations and decommissioning of the Virgin Media network. In this role you will be required to co-ordinate with the local council, police department and sub-contractors to ensure the smooth delivery of works, while foreseeing any that problems that may occur with, Access, Traffic management, Blockages and Ducts. The role requires candidates to work with landlords on Wayleaves and licence issues to ensure they do not prevent/holdup of planned work. The main aim of this role is to prevent obstructions and time delays to the schedule of work. This a field based role where you will act as the eyes in the field to give real time feedback to the management team to ensure that completion success rate on the cables being laid are in line with KPI's and ensure the lowest amount of inconvenience for customers. The role will require you to work with the Regional Field Team on the jeopardy management & co-ordination of key tasks against agreed performance targets to ensure company policy on H&S and all current legislation on NRSWA is observed and followed. This role requires you to have excellent customer facing skills and be well organised and comfortable completing a sizable amount of paperwork. The ideal candidate will have a mixture of Civils and fixed line telecoms networks knowledge. Candidates will need to have previously worked as a supervisor who has entered into a more customer facing role. It is essential that all applicants have a thorough understanding of NRSWA legislation. This role comes with a competitive salary of £25-£27K PAYE and is a fulltime permanent role. You will be provided with Van, fuel card, mobile phone and a laptop. 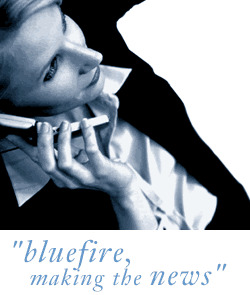 Bluefire consulting is an employment agency acting on behalf of the client company. Bluefire Consulting is an equal opportunities Employment Business/Agency specialising in Telecommunications recruitment on a UK wide basis.